Our all inclusive Fiji vacation packages make your Fiji vacation incredibly easy! In these impeccably beautiful islands, the only way to improve upon paradise is to make everything included. With our inclusive Fiji vacation packages, you’ll rarely have to think about the price. Gourmet meals and many excursions are all on the house. Some all inclusive resorts even include cocktails and wines, a rare find in Fiji! Sip on your favorite drink as you enjoy world-class dining by the beach - or even by a private rainforest waterfall. Come and enjoy paradise the way it was meant to be experienced – care free! 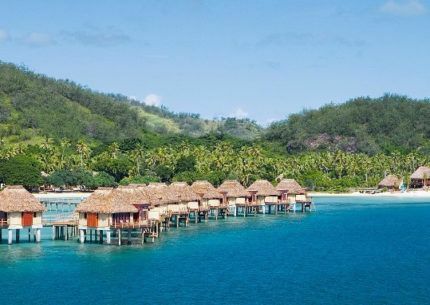 Escape on an unforgettable tropical getaway in all inclusive Fiji resorts such as luxurious Namale Resort & Spa, in an overwater bure at Likuliku Lagoon Resort, in a private island at Matangi Resort and more. 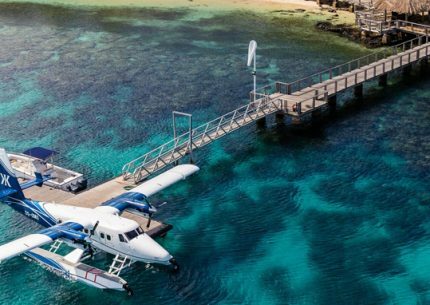 If you're looking for ultimate luxury, head to Kokomo Private Island Resort, where your own personal butler will ensure you never have to lift a finger. Head to the eco-luxury retreat of Jean-Michel Cousteau Resort for the perfect Fiji vacation for the whole family. Other popular all inclusive resorts include lush Savasi and warm Lalati. Whether you're looking for a romantic Fiji honeymoon or tropical family fun, our all inclusive Fiji vacation packages can be completely customized to create your perfect island getaway. Explore your destination with guided nature walks or kayaking and stand-up paddle boarding. Marvel at the gorgeous and healthy reef systems with included snorkeling experiences. Get a taste of Fijian culture with cooking classes, Kava ceremonies and Meke dancing. These are just the beginning of your inclusions. There's no end to the ways to spend your days in paradise - without ever having to think of the price. See something you like? We can also create your own custom package to create your perfect Fiji vacation. A Luxury Escape for Couples w/ Upgraded Accommodation, Meals, Drinks & Transfers.